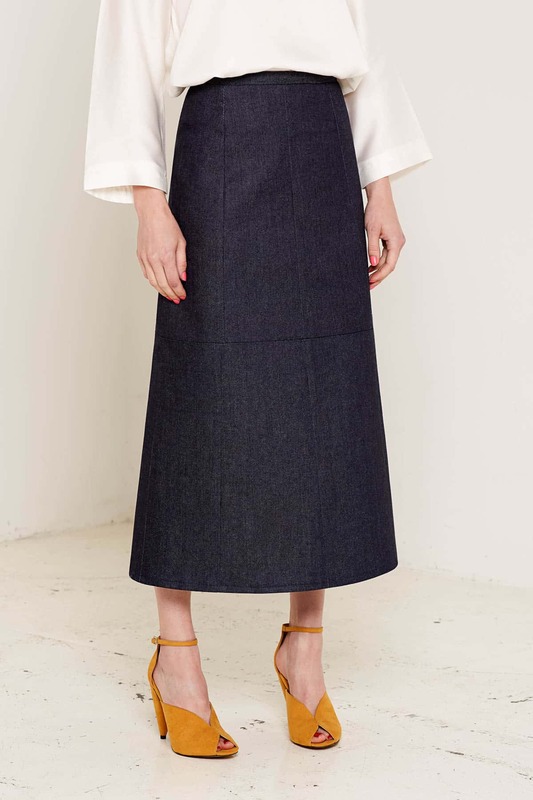 Created using organic denim that is hand-made on small power looms, the Joan skirt is a bold, beautiful A-line midi skirt. Carefully sewn to create a straight, sharp silhouette, the gorgeous texture of the 280gsm denim is softened by detailed stitching. 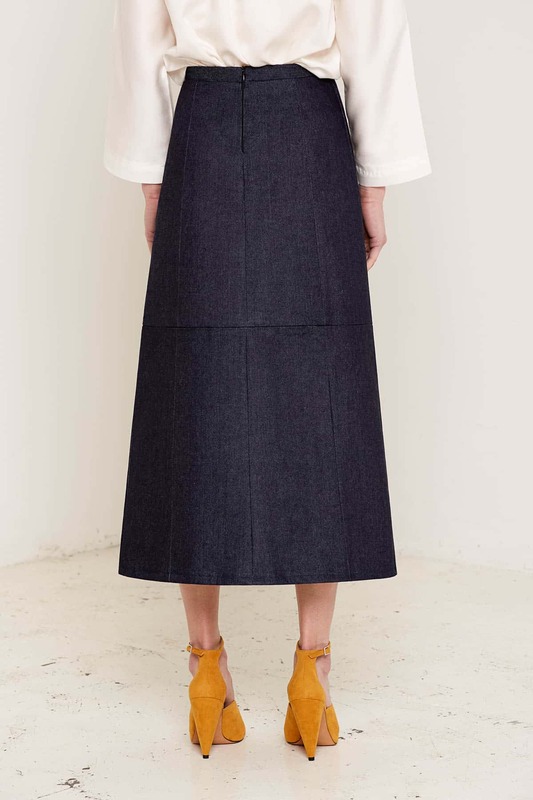 The high-quality, rich navy denim makes this skirt a versatile, contemporary piece. Complement its bold lines with asymmetric shirts and soft, floaty fabrics. We are passionate about creating clothing that is sustainable as well as stylish. This skirt is vegan friendly, and is made with certified organic denim sourced from fair trade suppliers.